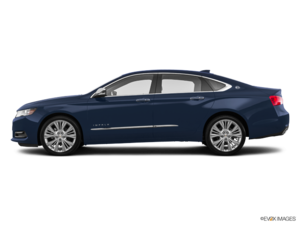 The 2018 Chevrolet Impala is one of the best large cars that one can find on the market today. With a graceful, yet aggressive exterior, the new Chevy Impala hides a monster underneath. It’s a powerful vehicle for its class, and it has a list of great performance options that help complement this power. When it comes to engines in its class, the 2018 Chevy Impala has a very impressive selection. It includes an available 3.6L V6 engine, which can output 305 horsepower. This allows the 2018 Chevy Impala to go from 0 to 60 mph in only 6.8 seconds. In addition, this engine also doesn’t sacrifice any fuel efficiency for this power. The new Chevy Impala gets 28 miles per gallon on the highway, making it a great vehicle for those that want to enjoy power on the go. The 2018 Chevy Impala has many great performance features that complement its engine, like an available electronically controlled 6-speed automatic transmission. This transmission is what gives the new Impala that extra kick to take it to the next level, and provides the driver with more control over the speed and power available to them. In addition to its transmission, the 2018 Chevy Impala also has an available dual-outlet exhaust, which helps keep everything running smoothly while giving you a feel for its power. This exhaust has bright tips and is integrated into the fascia, meaning it’s well organized and doesn’t hang haphazardly, allowing the new Impala to maintain its sleek, deceptive appearance. If you’re looking for a vehicle that is full of power, yet deceptively elegant, then the 2018 Chevrolet Impala is the one for you. Contact us at Lanoue Chevrolet today for more information on this great vehicle!